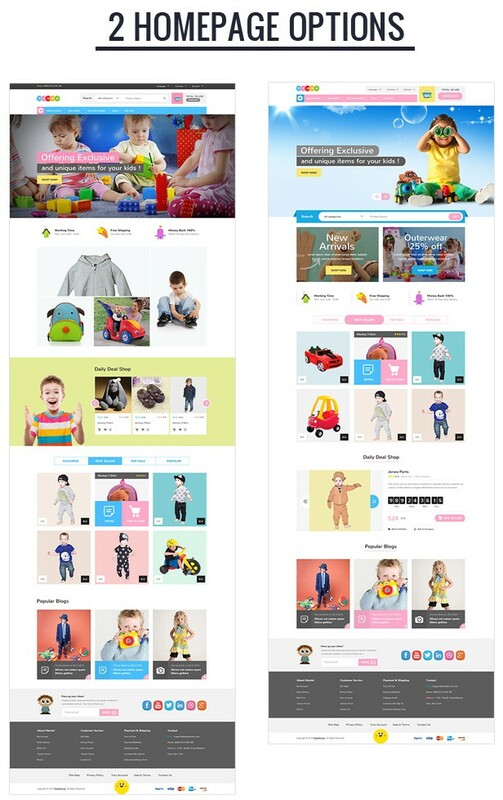 Fiora is best responsive kids store eCommerce theme. It is fitted with 2 home page layouts which suits for selling kids fashion, toys, kids clothing's, baby belongings and more. With eye-catching colors such as pink, red, blue, this template is a great choice for your kids eCommerce website! It gives you great functionality. This magento theme will help you create creative children websites. Design of Fiora is very simple but also very beautiful & full necessary functions. 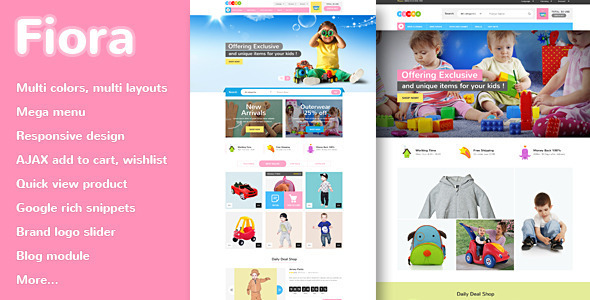 Item Reviewed: Fiora Best Responsive Kids Store eCommerce Theme 9 out of 10 based on 10 ratings. 9 user reviews.